“That's one small step for man, one giant leap for mankind"
You ever looked up into the night sky and really wondered about where we fit into it all? Asked yourself what's out there? How far does it go? What do the other planets and stars look like close up? What exactly do the space stations look like? How far does the universe extend? Where did we come from and where are we going? man. Turn on, turn in – drop out into space. Float downstream. Marvel at the universe. software - 3DAstronomer™ - you can check out the other planets one by one – sitting at your computer (PC only, for now). You remember the old meme don't you? The order of the planets from the Sun – Mercury, Venus, Earth, Mars, Jupiter, Saturn, Uranus, Neptune and good old Pluto – named after Mickey Mouse's dog. Actually we now know that Pluto isn't really a planet. 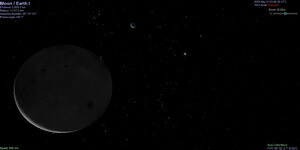 Its more of a dwarf planet and its made up of rock and ice smaller than our moon. So if you were thinking of going there for your holidays I'd cancel. Go to Saturn instead. That's a happening place. Its got those beautiful rings for starters. And some great beaches I hear. Although it can be a bit windy this time of year – gusting to 1200 MPH. Jupiter is a better bet. Its the largest planet in the Solar System so it stands to reason it has more to see and do. Check out The Great Red Spot. I've heard that place really hots up after midnight. You can even see it from Earth – after the Moon and Venus it's the third-brightest object in the night sky. Hey you wanna go check out the giant space telescope Hubble – the collaboration between the European Space Agency and NASA. Talking about Hubble – have a look at what this Australian guy has done – gone and built a 1:1 laser-cut plywood copy of it. Why? LOL. That's one Hubble I'd like to see. Or you can use 3DAstronomer™ to see how the Ruskies are getting along with the Americans on the International Space Station (ISS) – the largest artificial satellite orbiting Earth. Well – it's not only Russians but Europeans and Japanese collaborating as well. A Russian spaceship carrying three astronauts – a Russian, an American and a Ninja landed safely in Kazakhstan last week. Their sixmonths gig was up. But the trip back to Earth only took three and a half hours. Wonder what they eat on that ISS space station? Yeah...space food but I wonder if they cater for special tastes? Like Sushi and caviar and all those cabbage dishes the Reds are so fond of. Speaking of which...you know what happens when you eat a lot of cabbage don't you? In a confined space. Yeah...let's not go there. 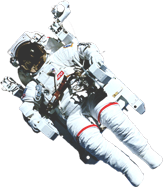 Or if you really want to know - What Would Happen If You Farted in a Space Suit. BTW you can see the ISS with the naked eye. Its the one with the Coca-Cola neon signage (kidding). But it must be pretty big huh? I know it's expensive. Supposed to cost between 35 billion dollars to 160 billion dollars by the time it's finished at the end of next year. 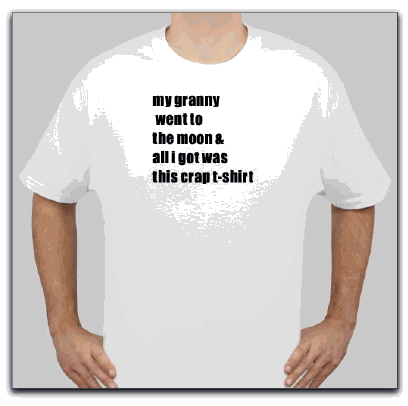 And get this - the ISS is believed to be the most expensive object ever created. What monetary crisis eh? So yeah – with this new astronomy software 3DAstronomer™ you could zoom right up close to the space stations and see what's happening. See how the party is panning out. Or with a few mouse clicks you can be looking at enormous galaxy clusters. There's thousands of them. And some are like 400 Million light years away. But no worries – just turn your 3DAstronomer™ to Warp Speed and you can effectively go forward in time – light years away – to visit these outer galaxies. See what I mean about getting Lost in Space? What is out there anyway? If you come across something, can you report back? amazing is far short of the reality! Please give it a try so that it will keep being developed." Maybe you've got stars in your eyes, as it were. I don't blame you. They are beautiful aren't they? And fascinating. And there's over 100,000 of them. Most are very old - between 1 billion and 10 billion years old. Holy cow! That's old. Some stars may even be close to 13.7 billion years old— as old as the universe. Frankly – that freaks me out. I can't wrap my head around that at all. Its like the poser Where does the universe start and finish? Who knows. How do you tell the difference between a planet and a star in the night sky? I was always taught that stars twinkle while planets emit a steady light. Something to do with the effect of the earth's atmosphere. Visit Sirius this summer – it's a mere 51 trillion miles from Earth! And the brightest star in the night sky – probably why it was important for navigation before the advent of GPS. With 3DAstronomer™ you can also go backwards and forwards in time – in light years! Stephen Hawking (the genius in the wheelchair) once suggested that the absence of tourists from the future constitutes an argument against the existence of time travel. But you gotta wonder. With this app you can wind up the warp Speed to light years in the future or past and see what was what. “In his online postings, Titor claimed to be an American soldier from the year 2036, based in Tampa in Hillsborough County, Florida, who was assigned to a governmental time- travel project. Purportedly, Titor had been sent back to 1975 to retrieve an IBM 5100 computer which he said was needed to "debug" various legacy computer programs in 2036; a reference to the UNIX 2038 timeout error. Titor claimed to be on a stopover in the year 2000 for "personal reasons"; i.e., to collect pictures lost in the (future) civil war and to visit his family, of whom he spoke often. Titor also said he had been, for a few months, trying to alert anyone that would listen about the threat of Creutzfeldt-Jakob Disease spread through beef products and about the possibility of civil war within the United States. When questioned about them by an online subscriber, Titor also expressed an interest in unexplained mysteries such as UFOs. Titor suggested that UFOs and alien visitors may well be time travelers from much further into the future than his own time, who possessed superior time machines to his own." 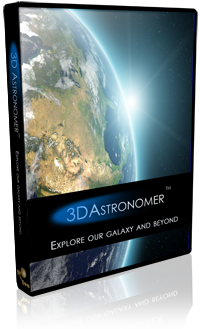 Unlike a lot of other astronomy software that just focuses on some aspects of space, 3DAstronomer™ gives you the whole enchilada - journeys to the planets, their moons, the stars, the asteroids, the galaxies and the planetary nebulae - ALL in one place. These visits are up-close and personal and in vivid detail with exceptional 3D graphics and animations. You can also visit lots of spacecraft and have a close look. With 3DAstronomer™ there's a whole new world out there – uh...scratch that – a whole new universe out there to explore – for you to get lost in space. I've been a bit flippant in my preamble here but 3DAstronomer™ is not a toy. 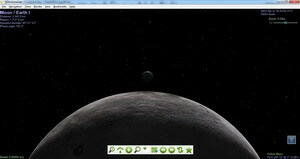 It's a serious 3D space simulator and 3D astronomical database. 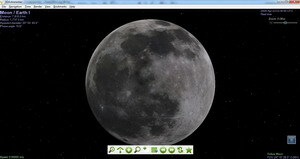 It's used by space enthusiasts as well as professional astronomers and astrophysicists. But – as you can see - it has settings and controls that even a child can use. This phenomenal open-source project takes data gathered by the European Space Agency and maps it in 3D. It displays exact telemetry, positional data of celestial objects, integrates real imagery from NASA space exploration and hundreds of dedicated developers. 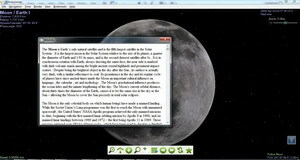 All of this in an easy to use, yet powerful application that lets you take a 'life-like' journey into outer space. When you first launch this 3D Astronomy software, you may think that everything is static, however take a closer look and you will see everything is actually moving. You can see how the moon orbits the Earth and how the Earth orbits the Sun. 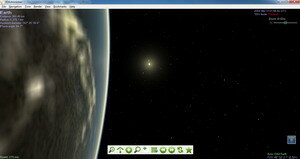 You can then speed everything up and zoom out to see how the whole solar system interacts over any period of time. With 3DAstronomer™ you can do even more than travel through the universe in real- time or at hyper-speed! The Universe is huge and to combat this a sophisticated zoom feature has been integrated that lets you explore space like never before. 3DAstronomer™ PAY ONCE software. You will always get 100% FREE updates / upgrades. 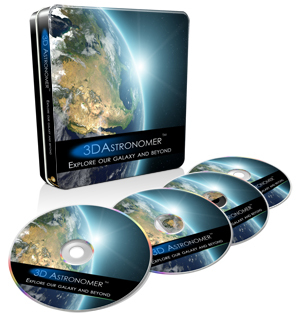 But 3DAstronomer™ is not only for amateur astronomers, but professionals and educators, as well. 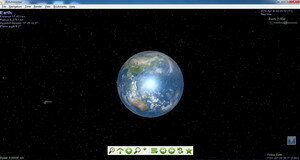 3DAstronomer™ is a superb tool for educational purposes and enthusiastic astronomers as it contains additional data available in overlays and labels - such as planet names and constellations. The highly-configurable display features let you add or remove detail at will. 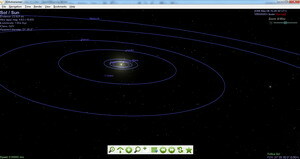 Moving around through the solar system and beyond to other galaxies can be achieved using a combination of keyboard shortcuts, or with a click of the mouse. 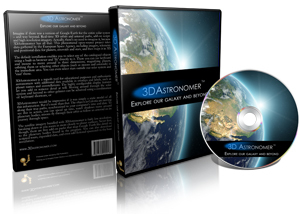 3DAstronomer™ is a 3D space simulator as well as a 3D astronomical database. Astronomers and astrophysicists will marvel at the quick retrieval of information. 3DAstronomer™ can provide both purely recreational voyages and serious voyages into outer space. 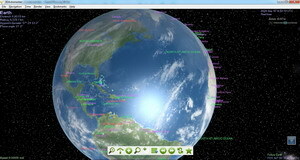 It is one of the most versatile space simulation programs ever created. 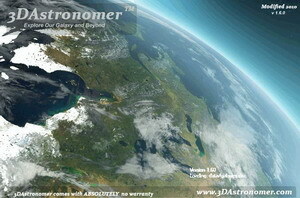 With 3DAstronomer™, you will have the chance to look upon the earth as if you were hovering above the atmosphere. See for yourself the images that have helped us better understand our planet. 3DAstronomer™ allows you to journey to the closest stars,including Alpha Centauri and Proxima Centauri. Are you already a 'hobbyist' astronomer but want to learn more? 3DAstronomer™ has been made easy to use, with basic settings even a child can manipulate, yet look deeper and you will quickly see the amazing educational possibilities available. It really has been designed to be suitable for everyone, no matter if you are a budding space enthusiast, a professional astronomer or even an astrophysicist. A catalog is available of over 3800 Near Earth Asteroids or NEA's. astronomers and even an astrophysicist. Multi PC License - This can be used on as many systems as you want. The added bonus is that 3DAstronomer™ is based on OpenGL graphics rendering. This means the program can really do just about anything and make it look realistic. 3DAstronomer™ is one of the first commercial space applications that gives you complete control. 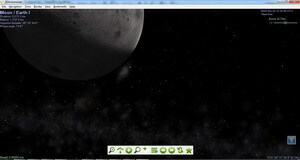 This means you can dig deeper into the game and create your own graphics including: planets, stars and even spaceships. 3DAstronomer™ is proudly part of the Open Source initiative, and released under the terms of the GPL. For you this means complete flexibility when running and using this software. With the source code that is available you can join the community and become 'part of the project' by contributing add-ons or updates, or simply enjoy what the other developers have already created. Unlike other software you may buy, you are free to install 3DAstronomer™ on as many computers as you like all for the one low price. This is a commercial adaption of the world renown Celestia project. This means 3DAstronomer™ is in constant development and keeps getting better and better. If you require further information or want to help develop 3DAstronomer™ further please have a look at our Developers Area. 3DAstronomer™ is a global co-operative development project with contributors and users from just about every continent. Users range from budding home enthusiasts, to astrophysicists, and even space agencies. Why pay 100's of dollars per computer for a costly program when 3DAstronomer™ can do it all for you for one tenth of the price? Remember this is a fully licensed and legal copy of 3DAstronomer™ that can be used at home or work. You may install it on as many systems as you like, all with the same license! Download 3DAstronomer for only $49.95. To ensure your information stays secure, 3DAstronomer's payments are backed by McAfee Secure, so you know you can order from us at any time in full confidence! We are so confident that you will love this Astronomy Software Package that we offer a 100% No Hassle 60 day money back guarantee. You're free to return it next week, next month, or up to 60 days from now. Check this box to add the physical 4 disc set to your order! This is delivered directly to your door. MB's, however the photographic imagery is very large. 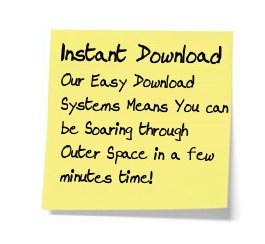 fill up 3 DVD's this add-on is a must have for any true space enthusiast. With so much of the galaxy to see, so many places to fly to, and so many excited new players joining in, you’ll be hooked on 3DAstronomer™ for a long time. We’re excited to be able to offer you one of the most all-inclusive space simulator experiences ever known. So hop in, buckle up, and fire your engines. The ride is just beginning! Make your space travel dreams a reality and take to the skies! No need to look through a telescope! © 2001 - 3DAstronomer.com All rights reserved.